I hate to get all formal on a blog because A) I don’t enjoy writing formal papers and B) as quoted by my students, “I am just not good at _______” [writing formal papers]. (If you ever come into contact with one of my fourth graders do not tell them I used that excuse because I don’t accept that excuse from them!) However, I am currently studying literacy as the Citadel and a lot of the my beliefs about literacy are being reinforced with cold hard facts. One of my newest beliefs is that all children need to be immersed in academic vocabulary. I never speak to my children like fourth graders, and I often use higher level vocabulary in the classroom. Why? Because I am a professional and more importantly I want them to steal my language and use it in their own life. I love the english language and how you can say the same thing, but make it more powerful by simply using more specific and vivid vocabulary. 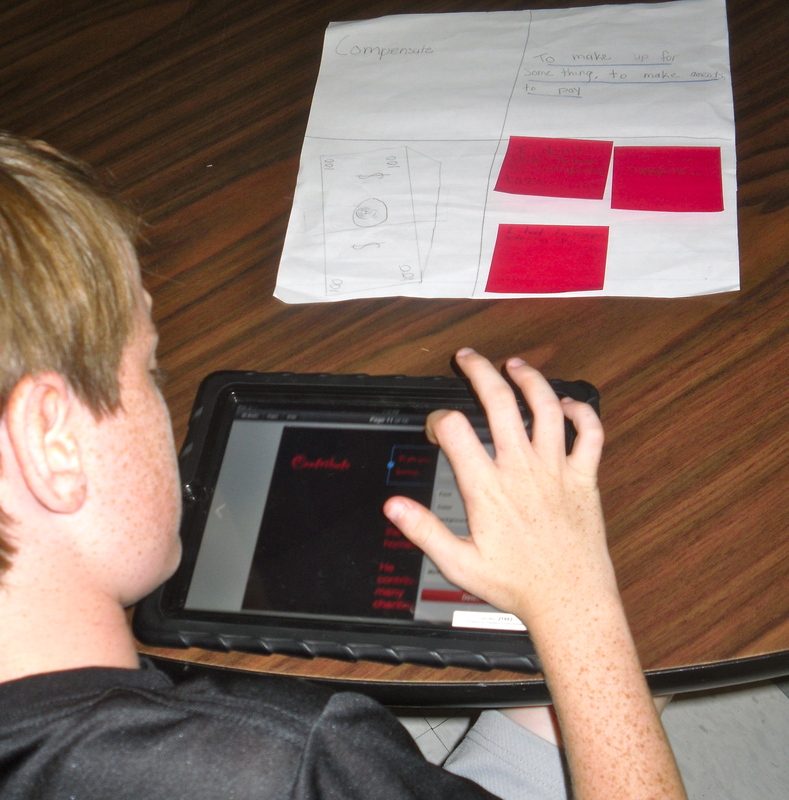 This year my students are creating vocabulary ebooks on their iPads. Every week my students define 4 different words in small groups. They must also come up with three sentences containing the word and create an illustration based on the word. At the beginning of the year, this wasn’t pretty, but as the year progresses my students are starting to understand how to collect academic vocabulary and more importantly why we need to do this. 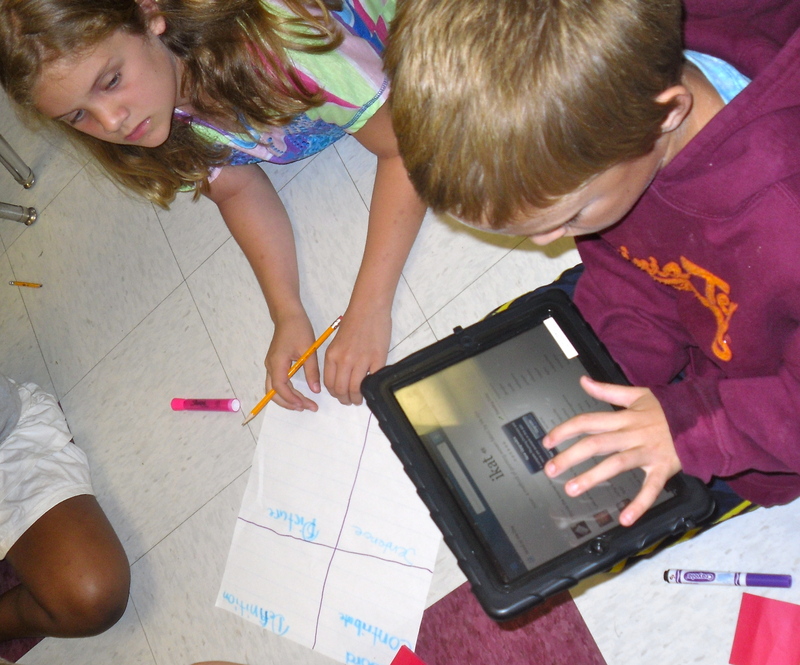 The day after groups define the words, each student adds the words to their vocabulary book on their Book Creator app. Within the app each student creates their own vocabulary book in which they put in the definition, a sentence, and an illustration. Students are welcomed to “steal” sentences and illustrations that the groups created the day before, or they may make up their own. During this time the students must stick to the FACTS, PHOTOS, “FUN” expectation. This means first they have to add in all of their facts including any typing. Then, they can illustrate their own photos or load photos from the internet. Finally, they can change the fonts and colors on the page. I have found multiple students that fully comprehend how to add to their book independently. These students will act as mentors to other students next week during centers. This way, if their peers have any question about how or what to add to their page, they will be able to step up and lead the group. The most effective way to increase reading comprehension in our classrooms is to add to our students’ vocabulary. I look forward to a year of growth with my students, and we love using our new academic vocabulary in the room! Love love love! We do this with pic collage later in the year!